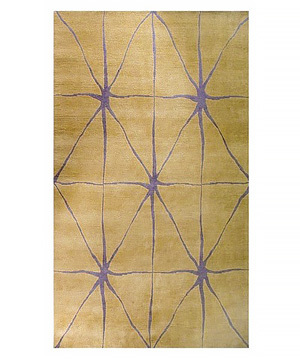 Design a rug wherein the surface design will have a defined theme and a distinctive graphic presence. “Starlight”, was a first place award winning design by Susan Sissman. The surface design was inspired by the repeating geometric arabesque patterns found in Islamic Art, and a “Less is More” aesthetic was utilized and reinterpreted into contemporary styling for today’s interiors. An enlarged graphic scale and a minimalist palette enhance a striking composition. 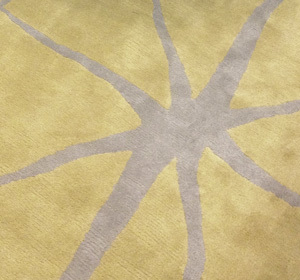 The overall design is infused with optical intrigue by implementing the repetition and mirroring of an organic line. 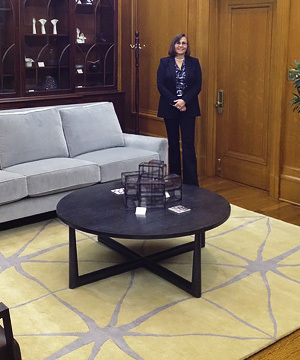 “Starlight caught the eye of Mayor Rahm Emanuel and can be found in the Mayor’s office. 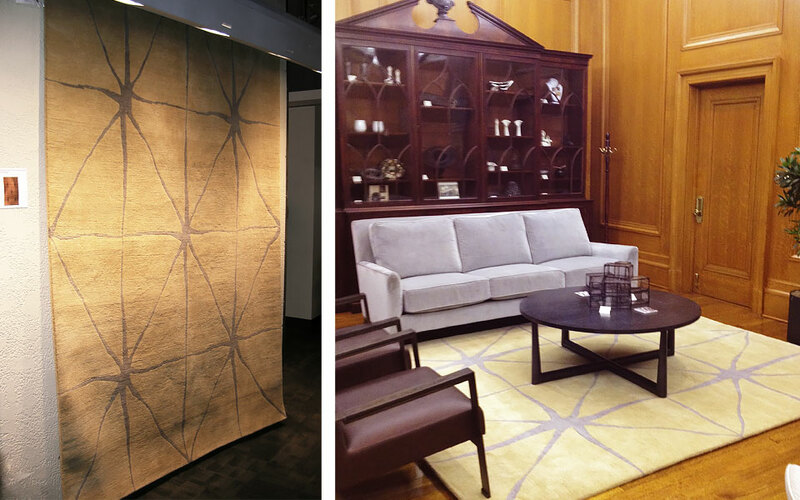 The rug graces a sofa and side chairs by Holly Hunt and a coffee table by Doug Levine. 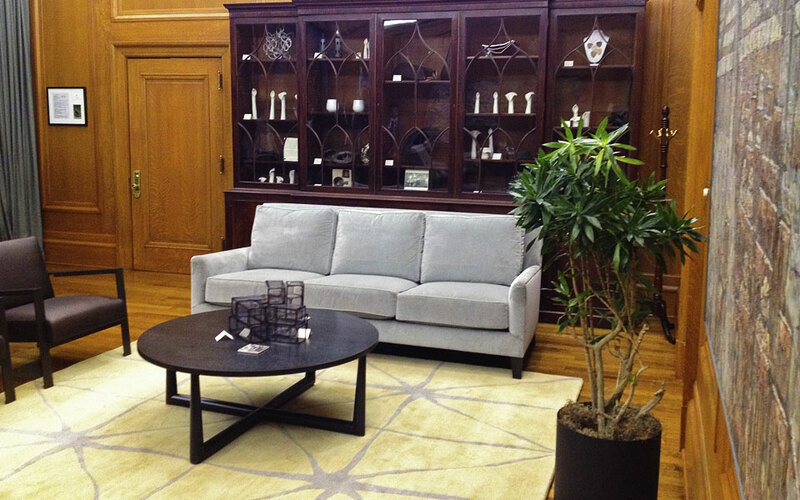 Wall art is borrowed from Chicago area art museums along with prominent art school student works, to further complete the interior design of the Mayor’s office. © 2017 Susan Sissman Design. All Rights Reserved.